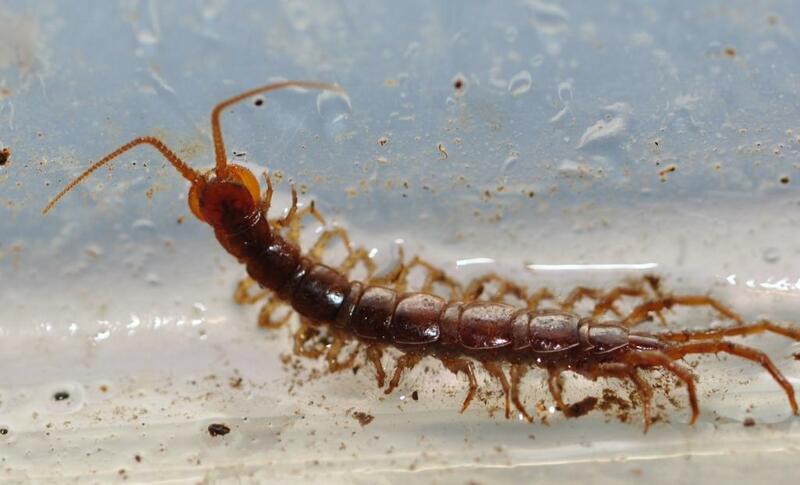 The most common type of Chilipoda (the class of invertebrates we call centipedes) is the Garden Centipede Lithobius forficatus. They are, in fact, the most common centipede in our country. Seldom more than 2 inches long (50 mm) these little arthropods are often found under logs, leaves, or rocks throughout forests and backyards. Our moist Northwest climate does not bother the Garden Centipede at all as it prowls about its subterranean world hunting other small invertebrates. 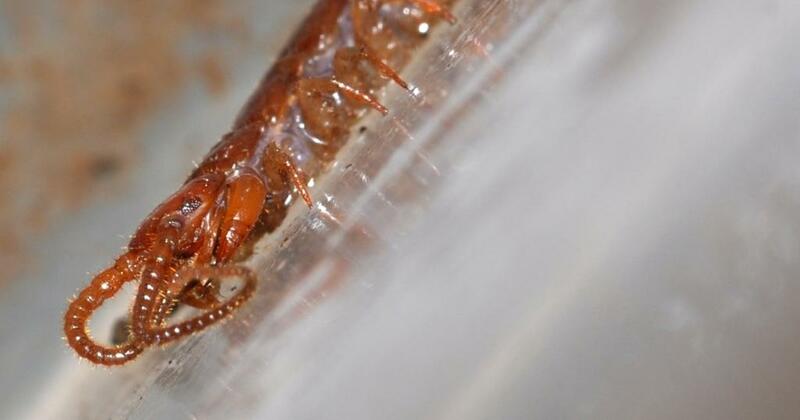 Like all centipedes they have venomous fangs called forcipules which are actually legs, a adaptation unique to centipedes. Thanks to my new tripod I was able to get several nice macrophotography shots that display the various parts of centipede anatomy. 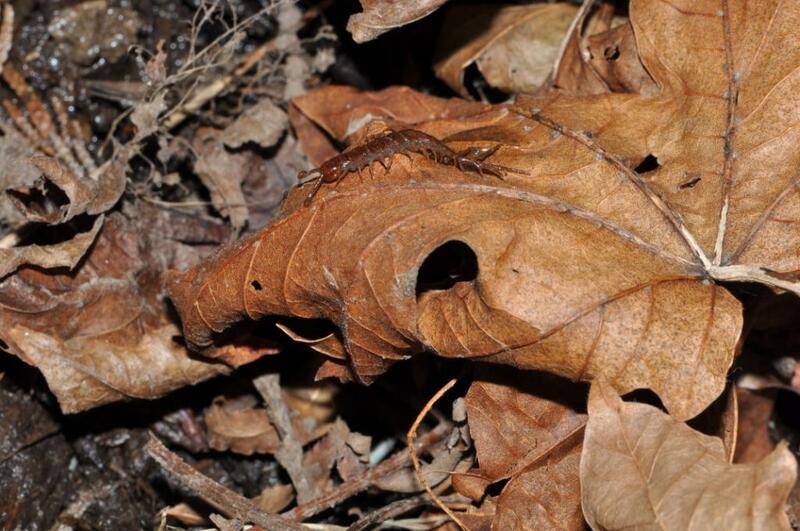 The first picture gives an idea of the relative size of the centipede, the second shows the body plates with one pair of legs per segment as opposed to millipedes which have two. Photo number three is a head shot. Note the antenna and dark eyes. The eyes are simple sensors of darkness or light. Centipede antenna, however, are very sensitive physical and biochemical detectors. They are the animal’s prey detector and the primary instrument by which the centipede senses its environment. The fangs are the rounded appendages at the side of the head. 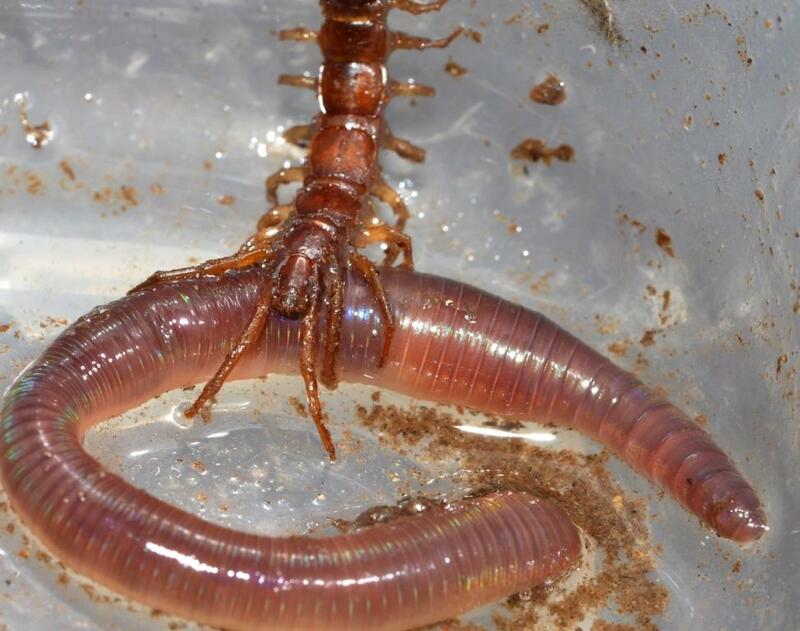 The last photo (in which the centipede decided to prop itself up on a worm) shows the extended rear legs. These legs are not used for walking. In some species they are used to grasp and hold prey.